FROM THIS month (November 2017) passengers flying the LHR-JFK British Airways Club World route are in for a treat. 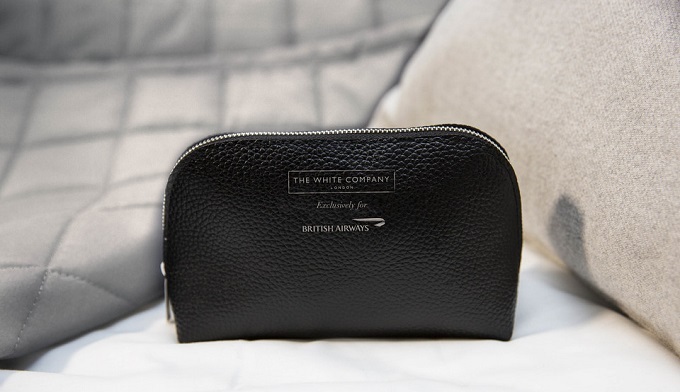 British Airways and British retailer The White Company have teamed up to create a much more luxury experience for Club World passengers. 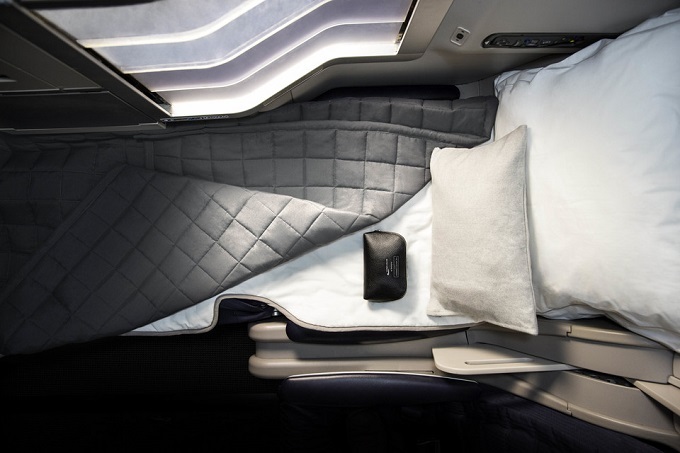 The White Company has exclusively designed a range of products for British Airways so Club World passengers can ‘Sleep Well in the Sky’. The Luxury Travel Bible recently travelled LHR-JFK in Club World and was extremely impressed by the new service. Arriving in New York I felt extremely well rested and well fed. The White Company’s new day cushion and super-soft woven blanket with satin trim are perfect for relaxing back in your seat while watching your in-flight entertainment or working on your laptop. When you wish to snooze you can convert your seat into a fully flat bed; the padded mattress cover and bespoke luxury duvet make the bed even more comfortable and aim to improve quality of sleep. The new Club World amenity kits come in a stylish bag from The White Company and contains products from their 'Restore & Relax Spa Collection'. The amenity kit also includes cosy socks, ear plugs, pen, toothbrush and toothpaste and TLTB particularly liked the plush eye mask which really did block out any light. The beauty products (lip balm, moisturiser and relaxing aromatherapy pulse point oil) have been specially selected to help counteract the effects of long haul air travel and each item is designed to provide a relaxing boost whenever customers need it during their flight. 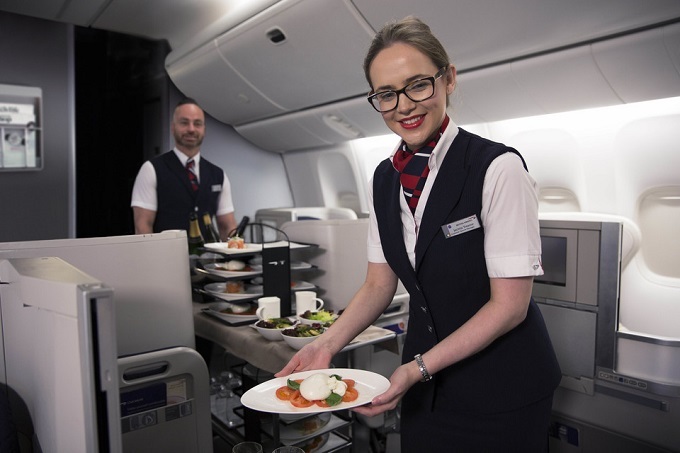 The launch of this new partnership and amenities follows the new restaurant-style dining experience on flights between Heathrow and New York JFK which was launched in September. Passengers can select their choice of freshly prepared starters and desserts from a new display trolleys, while a menu of main courses will be served to your seat. The new dishes have been developed as a collaboration between British Airways and DO & CO. The dishes use ‘finest ingredients with a focus on provenance and seasonality’ – all served on fine china and glassware exclusively designed for British Airways. TLTB opted for the Tapas selection to start, followed by poached Loch Fyne salmon and a delicious cheeseboard with a glass of port to finish. Ahead of landing in New York, Afternoon Tea was served. The menu was delicious and had an excellent selection of dishes. Should you still feel peckish, the Club Kitchen in the gallery area is open with a selection of snacks – both healthy and indulgent. The new LHR-JFK British Airways’ Club Word service is part of a £400m customer investment plan. The revamped Club World catering and sleep experience will be rolled out across the airline’s long-haul network throughout 2018. LUXURY INSIDER SAYS… Love the products? In July, The White Company opened its first international flagship store in New York at 155, Fifth Ave in the city’s Flatiron district.